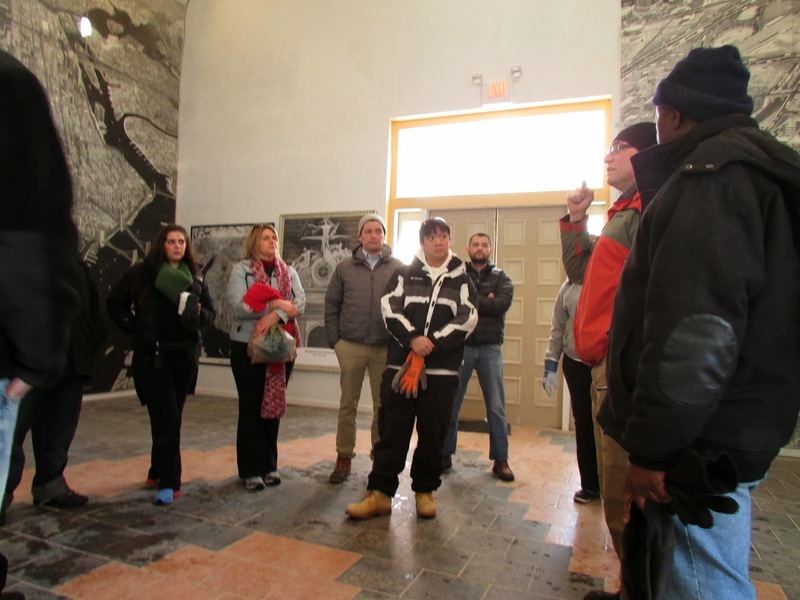 On a chilly day in February, twelve volunteers from Wells Fargo joined the CB&O team and local artist Krikko Obbott at the now-open Hill Museum of Arts in the Hill neighborhood of New Haven. 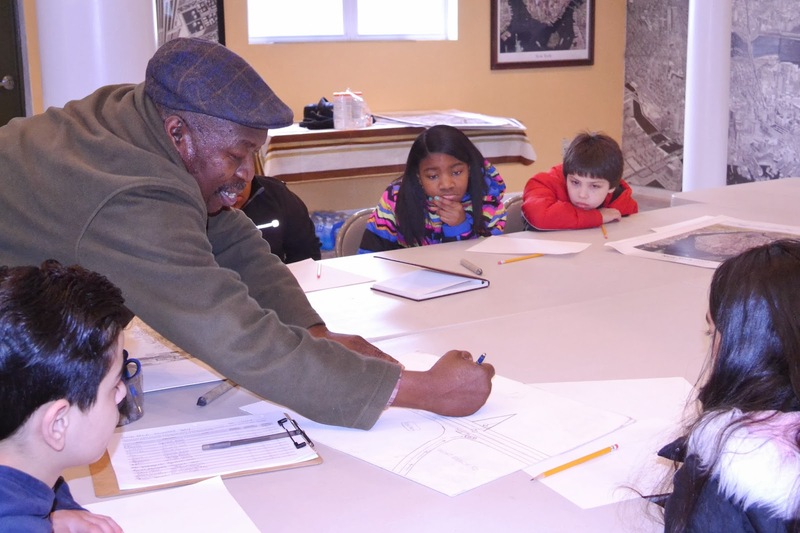 The group met in the lobby of the museum and were introduced to Krikko and his work, admiring the intensive detail of his artistic pencil drawings of major cityscapes, such as Manhattan, Chicago, and (of course) New Haven! 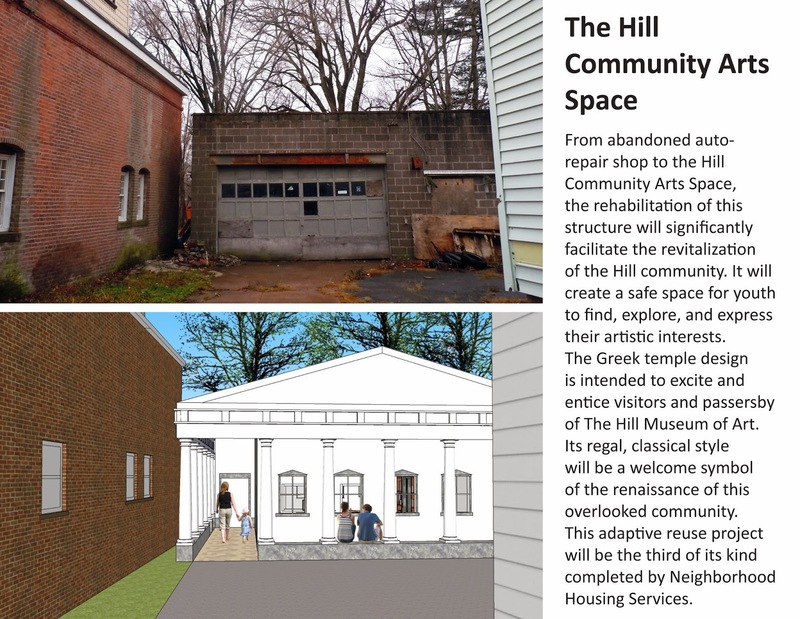 Krikko, along with Stephen Cremin-Endes, NHS’ Community Building Specialist, gave the group a brief synopsis of the work that Krikko has put into the museum, as well as his plans for the house and garage space next door. 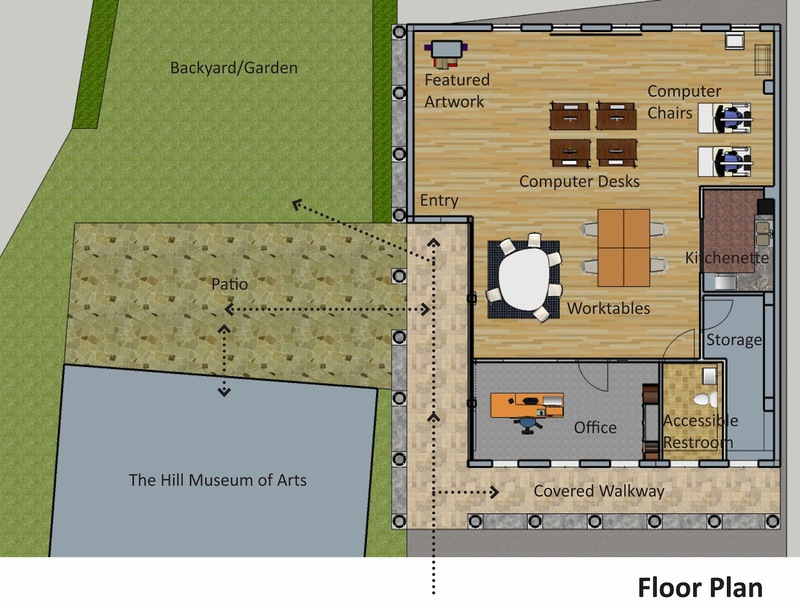 NHS recently designed some architectural renderings of what the garage space could provide, working with Krikko to help his vision of an art and animation studio with children’s programming come to life. 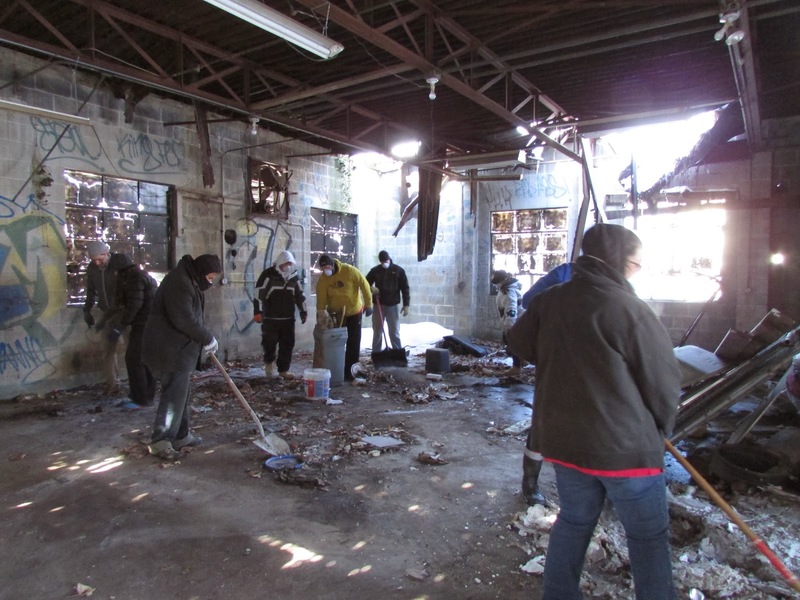 Today’s volunteer event is now the second major volunteer effort [see article on first event held on MLK Day] put forth to begin the process of rehabilitating this abandoned garage. Krikko’s story - having a vision to transform a negative (abandoned building) into a positive (community art space) - is yet another great example of all that can be accomplished by a single person, whose dedication has rallied others to join in throughout the process. The Wells Fargo volunteers continued the work previously started by Squash Haven, Yale students, and Public Allies on Martin Luther King Jr. Day of Service in January. The day was spent carrying items from the vacant garage to the dumpster beside it, clearing the space for future use. Volunteers swept and cleaned out the garage space, being sure to uphold green practices in the recycling and disposal of certain objects. A few things we were particularly mindful of throughout the day were separating the waste from the garage and house into trash, recyclable, and reusable piles. We’d like to commend Krikko for his thoughtfulness, inspiration and his vision, along with the Wells Fargo crew, lead by Kim Chamberlain and board member Arnoldo Ulloa, for all their hard work and dedication to the cause despite this cold weather.